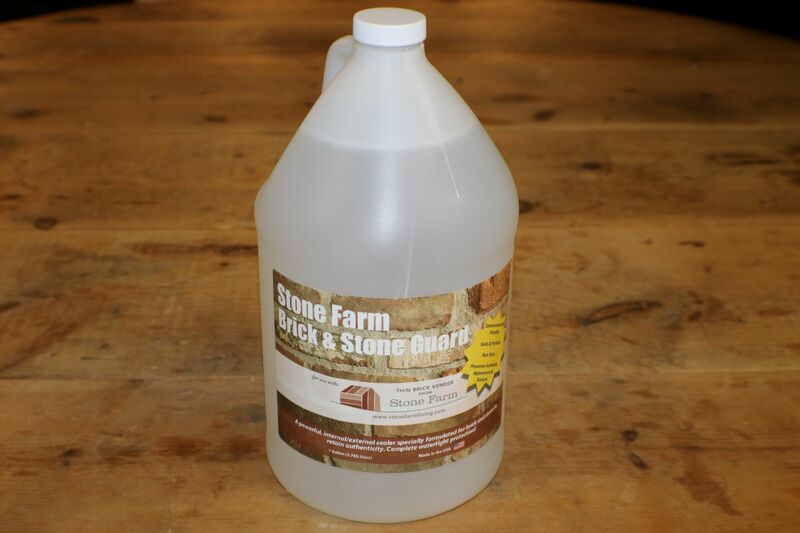 Designed to protect reclaimed thin brick veneer used for backsplashes and brick tile floors, Brick and Stone Guard is our very own Stone Farm sealer. 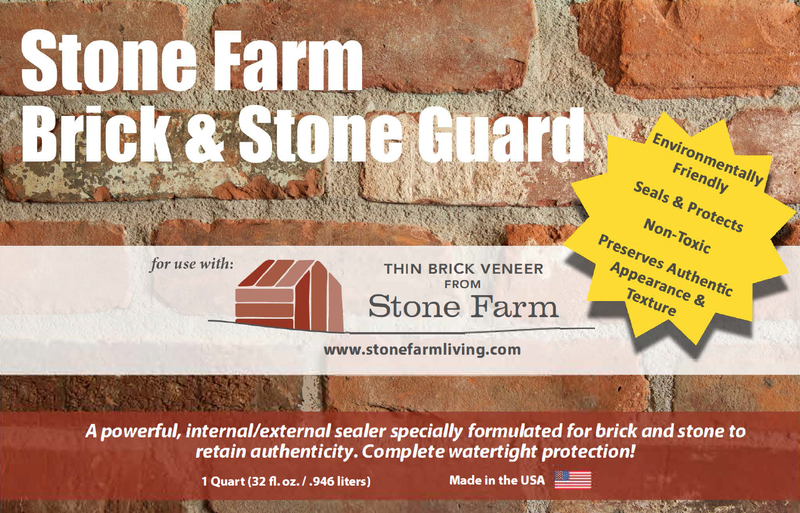 Brick and Stone Guard offers watertight protection while retaining the authenticity of our reclaimed thin brick veneer. MADE IN THE U.S.A.
Our brick guard is a non-gloss brick sealer which means that after you've applied the brick guard it will keep its original appearance. You will retain the authenticity of the brick while also ensuring that it will last a lifetime. - Apply as supplied. Do not thin out with any other solution. 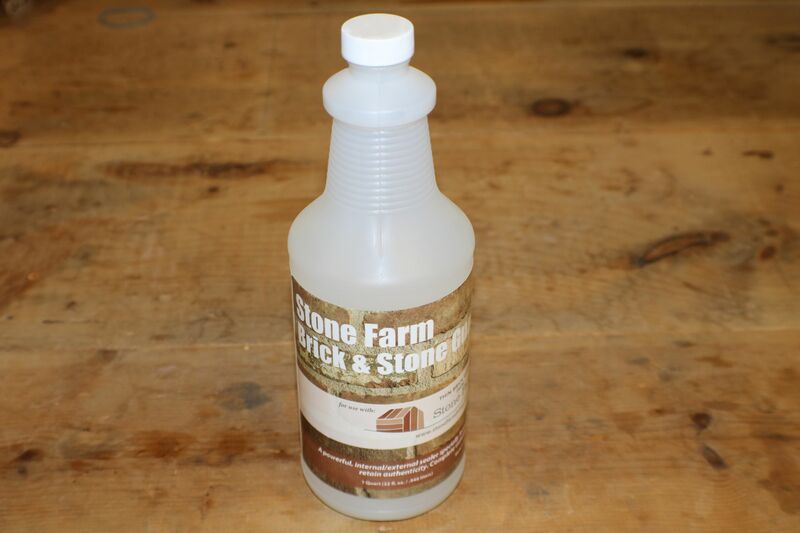 - Evenly distribute with a low pressure spray bottle or a brush. - Apply only one coat. - Allow 2-4 hours for brick guard to set.